Mario Antoine Elie (born November 26, 1963) is an American basketball coach and former basketball player in the National Basketball Association (NBA). 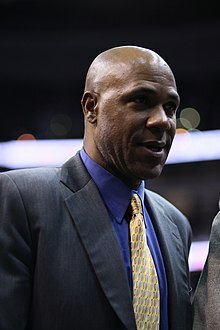 Elie grew up in New York City and played college basketball at American International College, before being drafted in the seventh round of the 1985 NBA draft as the 160th overall pick by the Milwaukee Bucks. Elie began his professional basketball career with Ireland's Killester in 1986. He went on to play in Portugal and Argentina, as well as the USBL, CBA and WBL. Elie first played in the NBA in 1990 for the Philadelphia 76ers and went on to play for the Golden State Warriors, Portland Trail Blazers, Houston Rockets, San Antonio Spurs and Phoenix Suns. Elie won three NBA championships: two with the Rockets in 1994 and 1995 and one with the Spurs in 1999. Elie began his coaching career in 2003 as an assistant with the Spurs, and later held similar positions with the Dallas Mavericks, Sacramento Kings, New Jersey/Brooklyn Nets and Orlando Magic. Elie, who is of Haitian heritage, grew up in New York City. He was named "Mario" for opera singer Mario Lanza. His father died after Elie graduated from college. He had a brother named Clark, an amateur basketball player who died in a car accident in October 2009. He also has a sister named Nancy. Elie attended Power Memorial Academy, where he played basketball alongside Chris Mullin under coach Steve Donohue. Elie played street ball in Central Park and other locations in New York City during the 1980s, earning the nickname "The Jedi" on the New York playgrounds. Elie played college basketball at American International College in Springfield, Massachusetts, where he led AIC to the NCAA Division II Tournament Quarter-Final. Elie was selected with the 160th pick (out of 162 total) in the 1985 NBA draft by the Milwaukee Bucks. In 1986, Elie started his professional career in Ireland with Killester, where he won Player of the Year honors. After a stint with the USBL's Miami Tropics, Elie played eight games in Argentina with Unión de Santa Fe. He then spent two seasons in Portugal with Ovarense, helping them win their first national title. He spent the 1989–90 season with the CBA's Albany Patroons. After a stint with the WBL's Youngstown Pride, Elie returned to the Patroons for the start of the 1990–91 season. In October 1990, Elie spent the preseason with the Los Angeles Lakers. In December 1990, he made his NBA debut, joining the Philadelphia 76ers on a 10-day contract. He played three games for the 76ers between December 28 and January 2. In February 1991, he joined the Golden State Warriors, where he remained for the rest of the 1990–91 season as well as the 1991–92 season. Elie spent the 1992–93 season with the Portland Trail Blazers before being traded to the Houston Rockets prior to the 1993–94 season. Elie won two NBA championships with the Rockets, first in 1994 and again in 1995. During this period, Elie was dubbed "Super Mario" and "Junkyard Dog". One highlight of Elie's career came when he hit a clutch three-pointer in Game 7 of the 1995 Western Conference Semifinals against the Phoenix Suns to put the Rockets ahead 113–110 with 7.1 seconds left. The shot is called the "Kiss of Death" by Rockets fans, as Elie made a taunting kissing gesture towards the Suns' bench shortly after he made it. While Elie was a key role player for the Rockets off the bench throughout the regular season and the playoffs, he became a starter in the 1995 NBA Finals. This move paid off for the Rockets, as Elie averaged 16.3 points per game in the Finals—almost double his regular season average—while shooting a stellar 64% from the field. He was also 8 for 14 (.571) from the three-point line, hitting 7 of 10 three-pointers in Games 3 and 4. Elie played for the Rockets through the 1997–98 season, and then signed with the San Antonio Spurs. He won a third NBA championship with the Spurs in 1999. After playing two seasons for San Antonio and playing the 2000–01 season for the Phoenix Suns, Elie retired. Elie finished his career with 6,265 points in 732 NBA games. In 2007, Elie was inducted into the New York Basketball Hall of Fame, and was named one of the top ten players in Houston Rockets history. On September 28, 2007, Elie was hired by the Dallas Mavericks as an assistant coach. He served with the Mavericks for one season. On June 22, 2009, Paul Westphal hired Elie as an assistant coach for the Sacramento Kings. On December 8, 2011, Elie was added to former teammate Avery Johnson's coaching staff with the New Jersey Nets. On June 26, 2015, he was hired by the Orlando Magic as a new assistant coach. Elie married Gina Gaston, a journalist and anchorwoman for Houston's KTRK-TV, while he was playing for the Phoenix Suns. He and his wife have triplets: Two boys and one girl. Glenn, Gaston, and Lauren. While Glenn and Gaston emulated their father and played basketball, Lauren played soccer. ^ "The History of the Northeast-10 Conference". Northeast-10 Conference. Archived from the original on 15 August 2014. Retrieved 5 August 2011. ^ a b "1985 NBA Draft". Basketball-Reference.com. Retrieved 5 August 2011. ^ NBA.com: Mario Elie Bio Archived 2008-05-11 at the Wayback Machine, NBA.com, accessed June 11, 2008. ^ Mario Elie among three new assistant coaches for Kings Archived 2009-06-26 at the Wayback Machine, NBA.com, accessed November 14, 2009. ^ Nets add Carlesimo, Elie to Avery Johnson's coaching staff Archived 2015-10-14 at the Wayback Machine, NBA.com, accessed December 8, 2011. ^ "Magic Name Griffin, Mathis, Elie and Henry Assistant Coaches". NBA.com. June 26, 2015. Retrieved June 28, 2015.